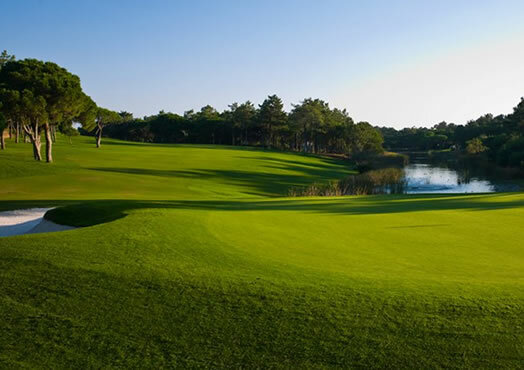 Quinta do Lago – North Course has two architects. The American WILLIAM MITCHELL designed holes 1 to 5 and 15 to 18 in 1974. These holes (as with the other course) share a unique character. The terrain is superb and typical of the area, sandy and littered with umbrella pines trees. In the spring, the rough is covered with a blanket of wild flowers, heather and gorse. The Fairways and tees are covered with Bermuda hybrid with a cool season mixture of grasses, which provides year-round, top quality swards. The greens are sown with Creeping Bentgrass Penncross, giving a fast, true putting surface, and which provide good all-year round putting surfaces. The bunkering is incomparable, both on the fairways and surrounding the greens and gives the course an advantage over many of similar quality and design. This course has great par 5 holes requiring power and accuracy to play them well, also providing superb views. All par 4, except 10 and 13 are doglegs,demanding precise tee shots, to set up the chance of a low score. The course is an anti-clockwise loop and favours who can draw the ball. These holes have more cross falls on the fairways than the other layouts and all the Par 4 and 5 holes are doglegs, demanding precise tee shots, to set up straightforward approaches. 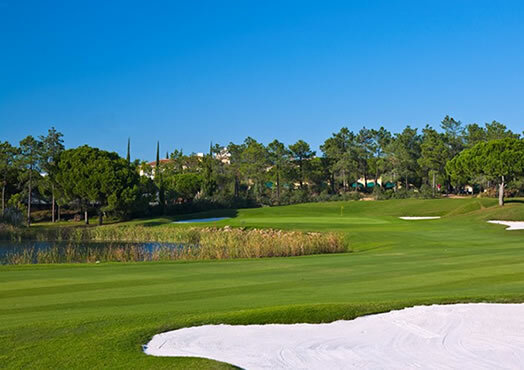 Like the “Quinta do Lago South” course, it is a favours the players who can draw the ball. Holes 6 to 14 were designed by JOSEPH LEE with the collaboration of ROCKY ROQUEMORE, both from the USA, and opened in 1989. All the famous male and female players who have experienced this course, including “Ryder Cup” and “Curtis Cup” team members, have been euphoric in their praise for this course, which will soon take its place among the great European layouts. 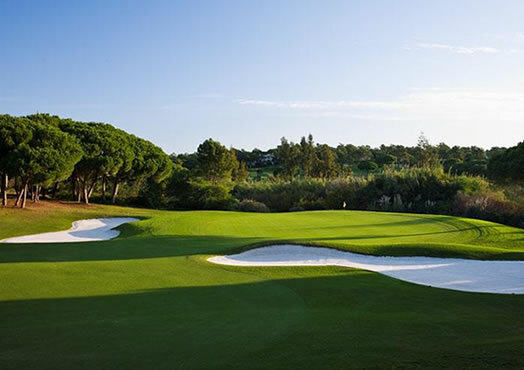 To play golf at Quinta do Lago is a joy for visitors and maybe more a way of life for those who decide to become members of this exclusive community. 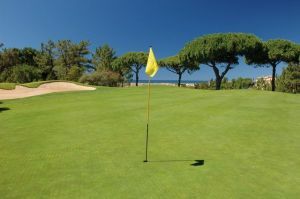 In keeping with its heritage, Golf at Quinta do Lago enjoys the full spectrum of nature’s bounty. 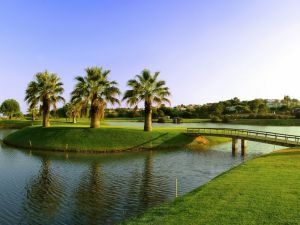 Each course has been designed in harmony with its environment and successfully crafted to take their position among the Top 25 rated golf courses in all of Europe. It has played host to several Portuguese Opens and continues to be a venue of choice for national and international competitions. 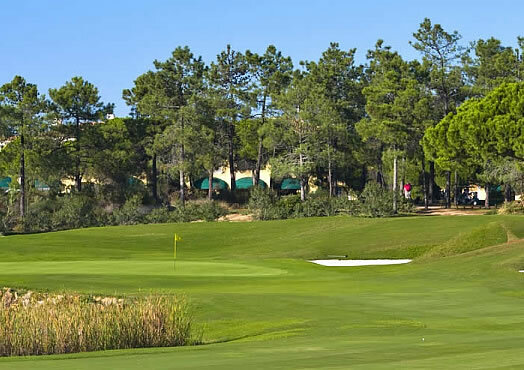 Each course is an experience of Augusta type fare and generous, lush fairways are intermittently decorated with clusters of pine, heather, broom and wild flowers and the carefully tended greens, considered among the best in Portugal are fast, true and sometimes humbling. Natural water features are sprinkled throughout and bunkers break the landscape almost as a constant reminder, to golfers of all experience and ability, of the great challenge that lies ahead. On the EN 125 after reaching Almancil, follow the road to vale do Lobo. The course is signpopsted to your left. 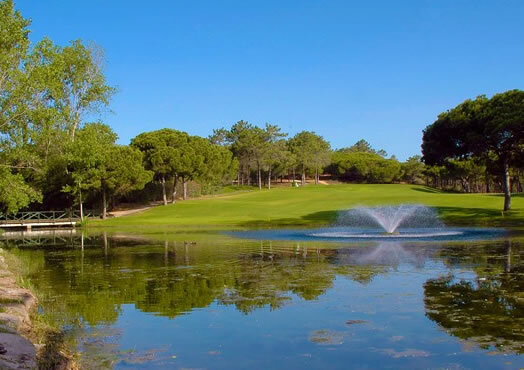 Quinta do Lago - North Course is not yet in our pool of Golf Courses for orders.